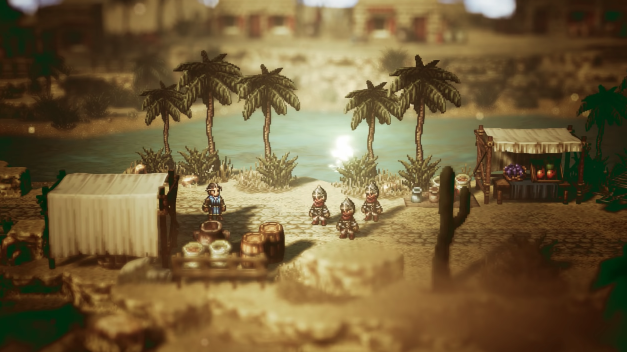 Octopath Traveler was a smash hit for Square Enix. Highlighting the demand for traditional JRPG titles. With a mobile title on the way, a PC version was listed by the Korean Rating Boards. Reported by Gematsu, the title is listed for a July 2019 release. This is close to E3 2019, which means it could be announced during the conference. For those unaware, Octopath Traveler stars 8 characters going on a personal journey. Each character has their own goals with the other travelers acting more as support instead of playing a part in each narrative. Battles are turn-based and the graphical style mixes together 2D and 3D images for beautiful visuals. The title was well-received by critics and fans, with JP physical copies being in short supply. Octopath Traveler is now available for Nintendo Switch. Check out our review here.